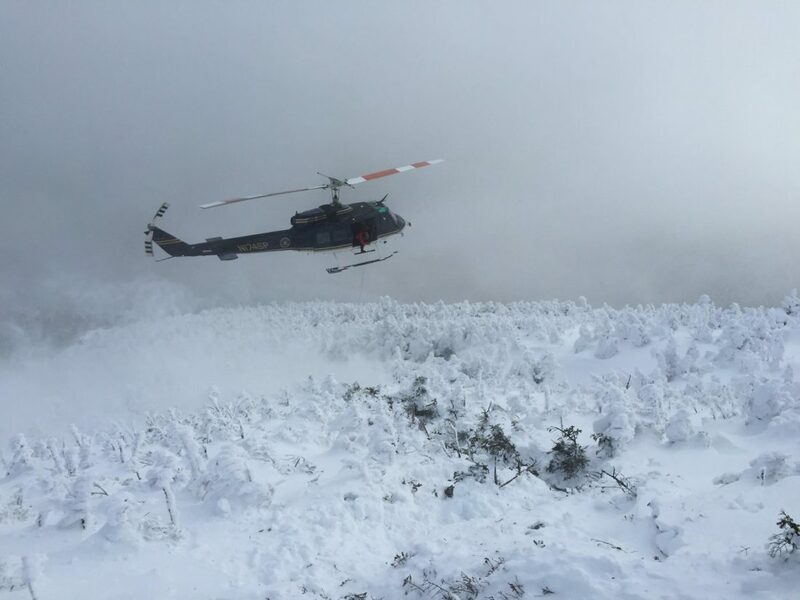 The state Department of Environmental Conservation has released a short video showing Tuesday’s dramatic helicopter rescue of one of the two hikers who went missing on Algonquin Peak. 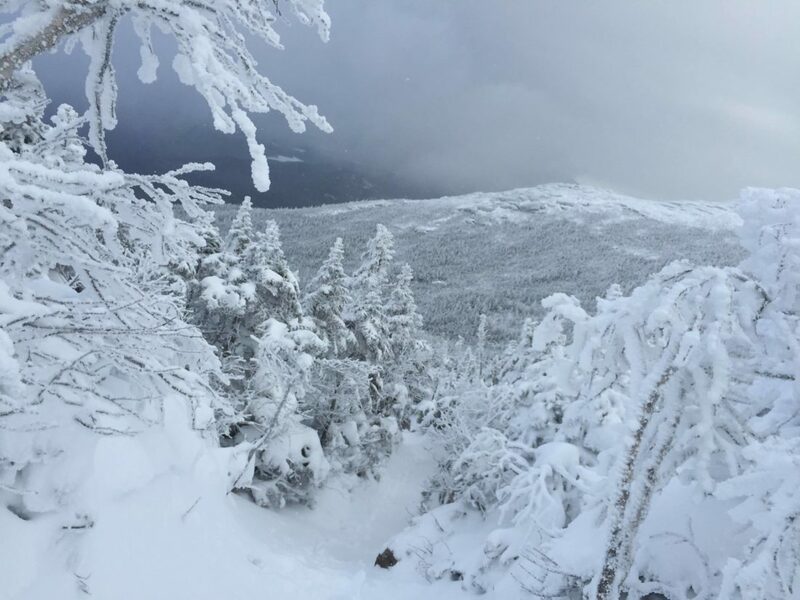 The video was shot by Colin Loher of Wilmington, a guide and climber who was part of a volunteer rescue team that assisted DEC forest rangers in the search and rescue operation. It shows a state police helicopter hovering precariously above the snow-covered treetops in a thick bank of clouds, hoisting 20-year-old Blake Alois of Niskayuna from the ground. The Albany-based helicopter was piloted by Tech. Lt. Peter Mclain with Tech. Sgt. Brian Rumrill as his co-pilot. As Alois is pulled up to the door of the helicopter, Forest Ranger Ian Kerr reaches out to bring him inside to join his girlfriend, 19-year-old Madison Popolizio, also of Niskayuna, who had been hoisted up just minutes earlier. The helicopter then rises and turns away from the mountain to begin its trip to Adirondack Medical Center in Saranac Lake. Just before the video cuts out, Forest Ranger Scott Van Laer, who was standing next to Loher, shouts “Yes” and lets out a cheer. The video is posted on the Enterprise Facebook page and can be seen on YouTube here: https://youtu.be/eDm7adqq3R0. 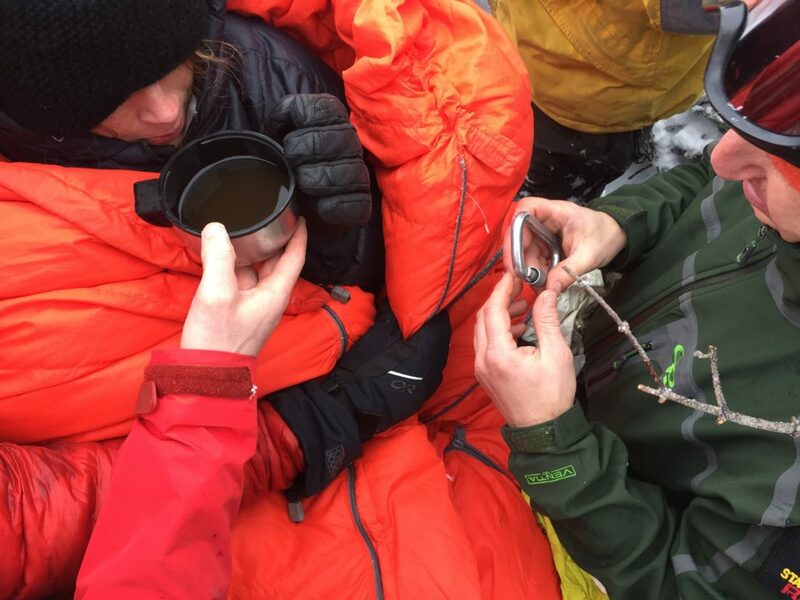 DEC also released a series of photos of rescuers tending to Alois and Popolizio after they were found, including one of Popolizio bundled in a sleeping bag drinking a hot cup of tea. 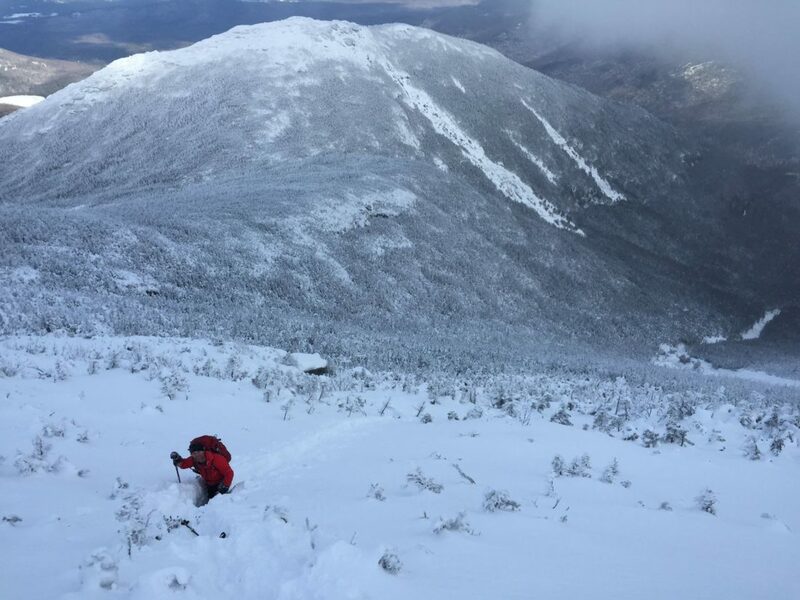 The pair climbed Algonquin on Sunday but got lost in whiteout conditions on the way down. 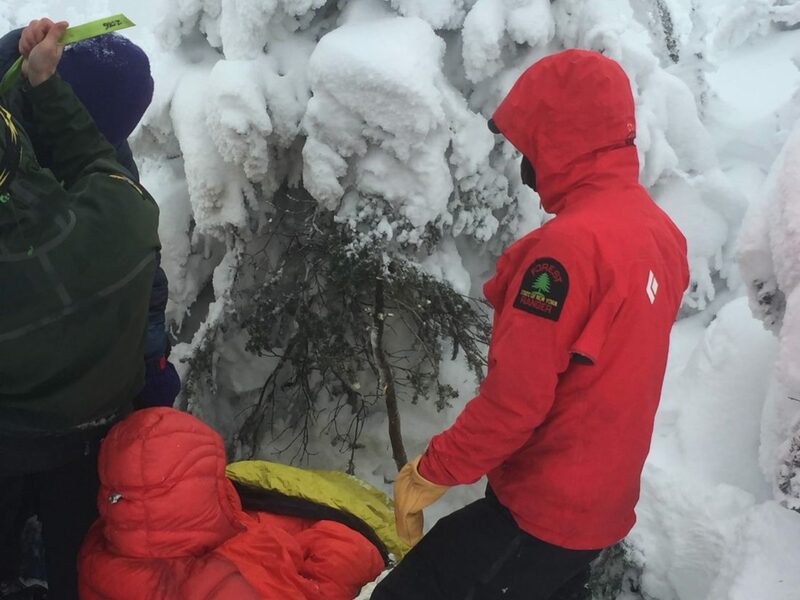 They spent two unplanned nights out in bitter cold weather before Van Laer and volunteer climber Don Mellor found them around 11 a.m. Tuesday, east and about 250 below Algonquin’s 5,114-foot summit. They arrived at the hospital around 1:25 p.m. and were treated for hypothermia before being discharged late Tuesday.